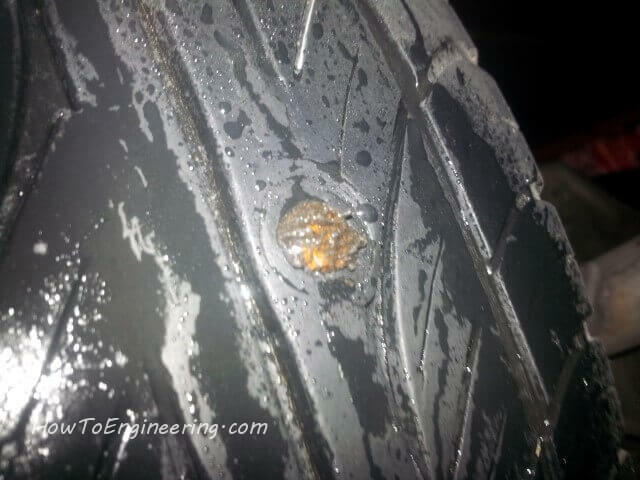 How to plug / patch a tire step by step for VERY CHEAP! 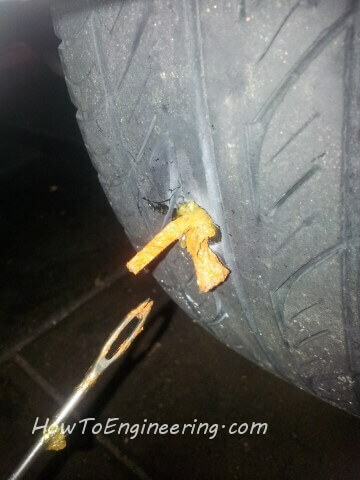 Oh Dang… I got a bolt in my tire! 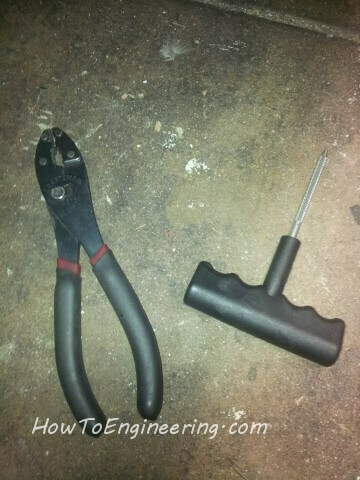 These are the first 2 tools to use. The patch kit (Amazon) comes with most of what you need, but do not include pliers or a cutting tool. 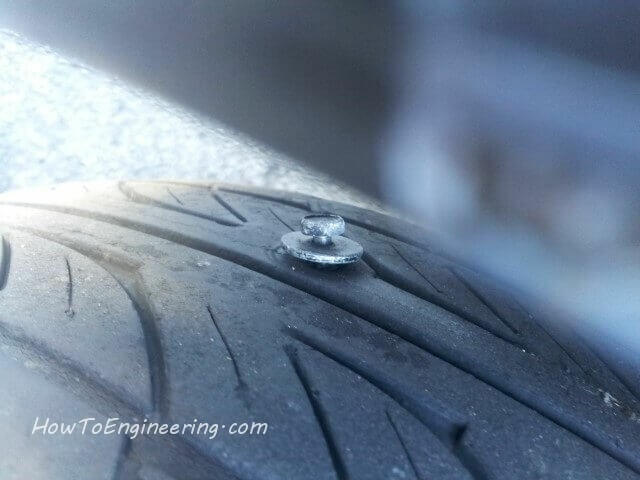 These plugs are not safe to use on the side walls of the tires. But work great on the main treads. 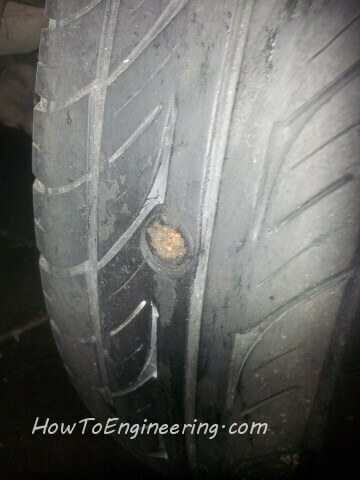 First pull out the bolt or screw that is in the tire. 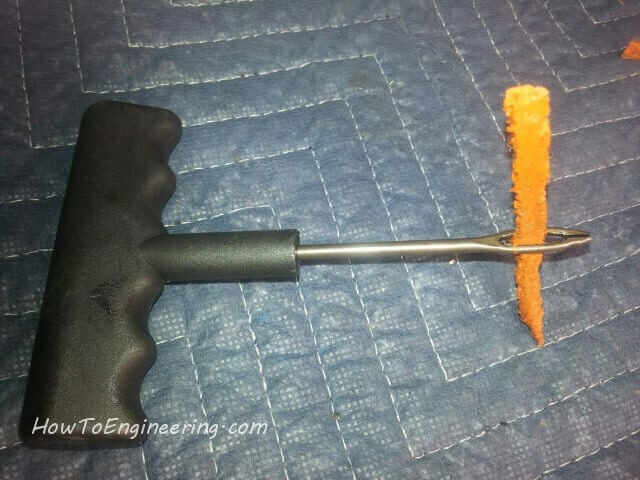 When the bolt/screw is removed, quickly put in the scraping tool. Go in and out about 10 times to ensure a clean rough surface for the patch. 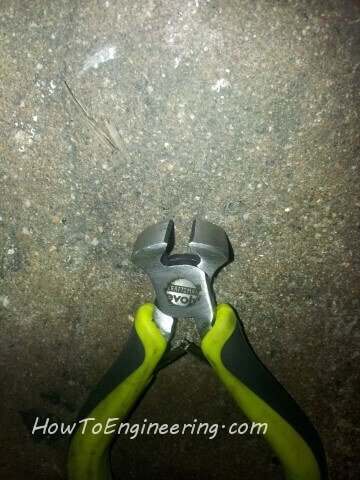 This tool makes sure the tire patch holds in well. This is what the patches look like. 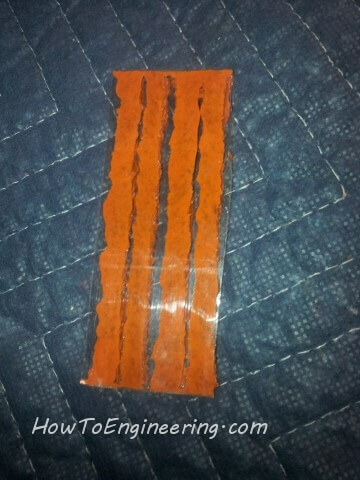 They are very sticky. Push one through the hole in the patch tool. 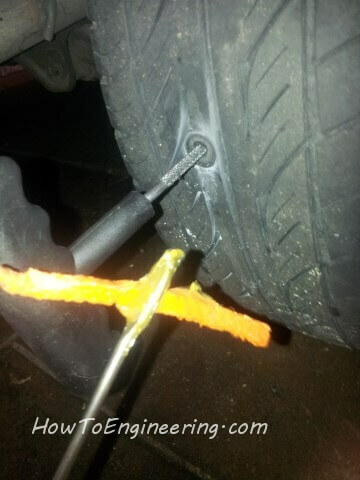 Then add some tire patch grease / lube to the end. This makes it easier to push into the tire. 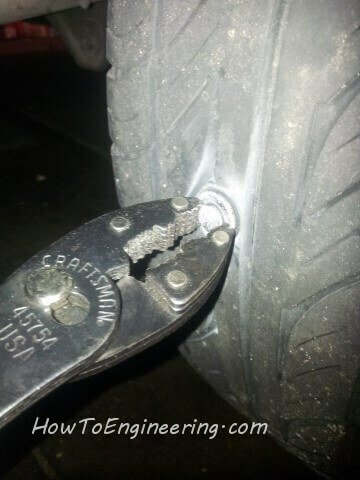 Quickly swap the scrape tool for the tire plug. The goal is to not let out much air. Just keep pushing… its not that easy… but it will eventually go in. 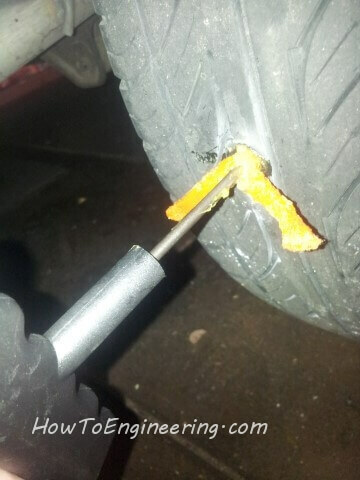 You do not want the entire thing to go into the tire, you only want it 1/2 way in. 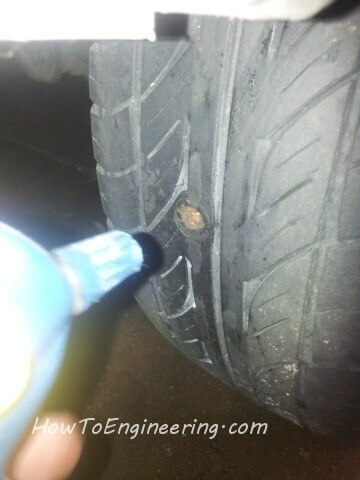 Then simply pull out the tool, and it releases the plug in the tire, creating a seal. 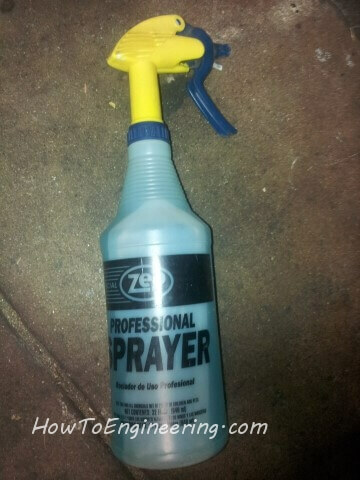 Now you want to cut off the plug that sticks out using some type of cutter. I prefer to use a flush cutter for this, but diagonal cutters work too. 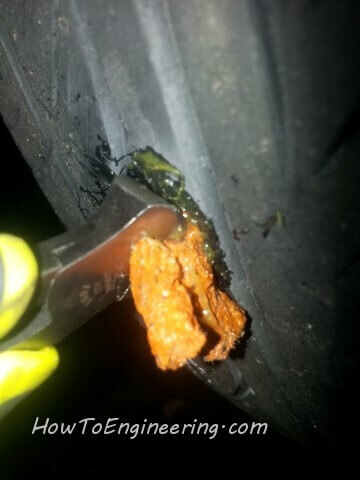 Now add some air to the tire (and check all your other tires while you are at it). Get a spray bottle with water and mild soap. Spray the area where the tire plug was installed. Then look up close for any bubbles in the soap water. Bubbles mean there is still a leak, the hole may be too big to patch, or you may need to try it again. 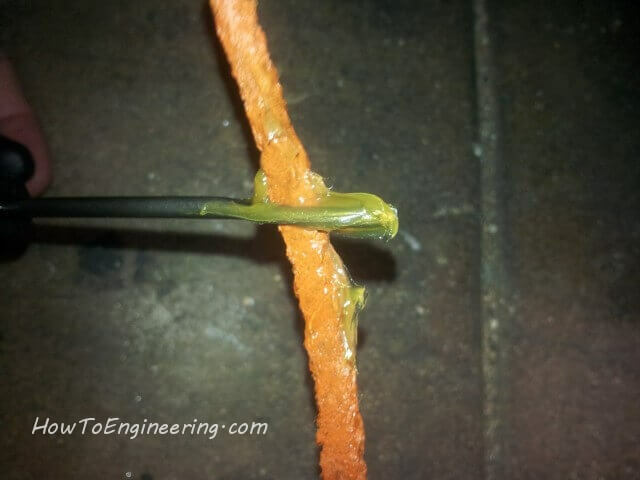 Previous Previous post: Make a circuit board and the steps I took for light exposing method. Next Next post: Remove paint on a Integra valve cover.